Swimex Over 1000 UK Pool Swimming Pool Enclosures Installed | The UK's leading supplier of swimming pool enclosures. Contact Swimex today for a free pool enclosure quotation. Welcome to Swimex UK Pool Enclosures – the UK’s pool enclosure specialist. 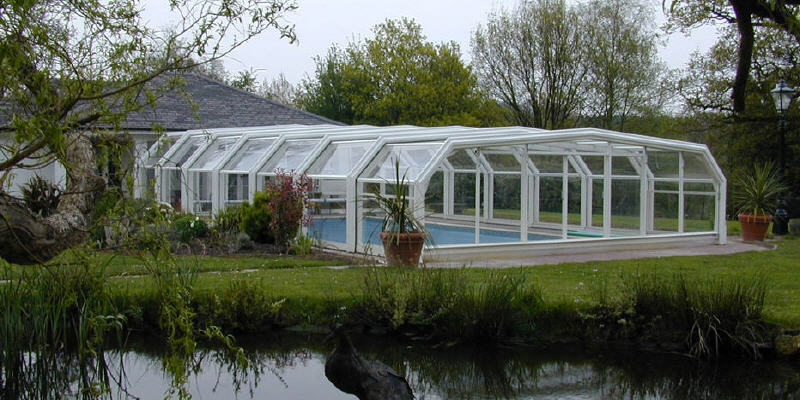 Swimex are the number one UK swimming pool enclosure supplier, with over 1,000 buildings installed throughout the UK. Our team have extensive experience and whatever the shape, size and location of your pool, we have a pool building to suit your requirements. Our installed pool enclosures are of the highest quality and built to withstand the British weather and come with a 10 year factory guarantee. We can supply both Fixed and Telescopic enclosures, with any width length or height to suit your requirements. Design wise we can offer curved/arched or angled with options for 3 angles or 5 angles and our free site visit we can help you choose which is right for your pool. Request a free visit here. 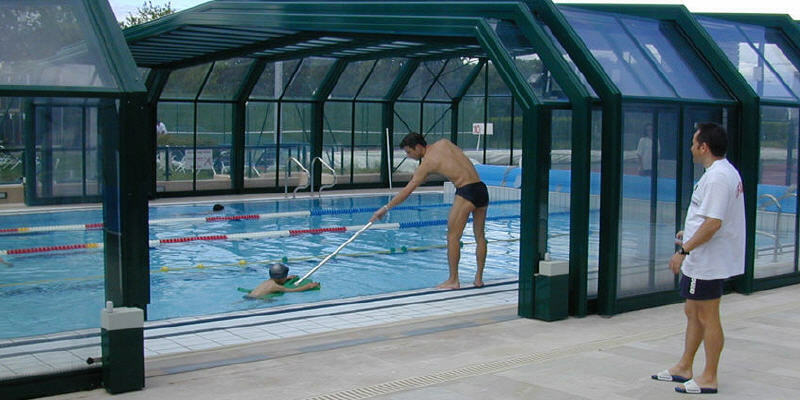 Swimex UK Pool Enclosures are an established and industry renowned supplier and have been providing pool enclosures for almost 20 years to homes, hotels, leisure centres and schools. We can provide a free site visit and are happy to quote for all types of pool buildings. Request a free visit here. Our comprehensive hassle-free service goes from design, planning issues to installation and after care to give you a one-stop service. 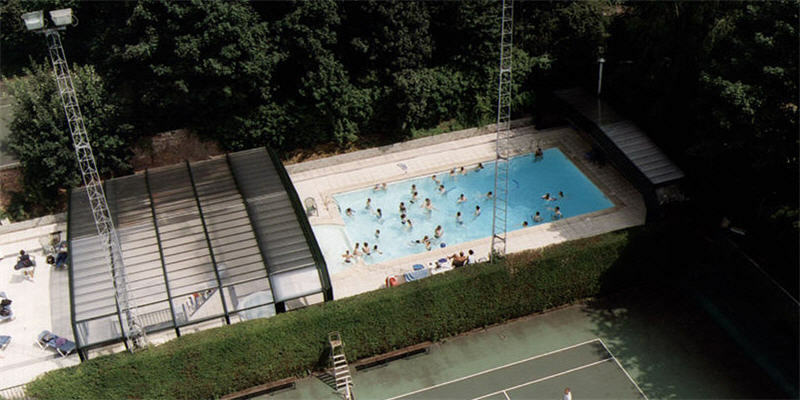 In addition we can provide rubber safety flooring, space heaters, solar powered motors, pool liners and pool covers to add to the enjoyment of your swimming pool. Swimex also work closely with a select group of high quality swimming pool builders throughout the UK.